For several years, students at Duke University have been working tirelessly to implement an Asian American Studies Program for students. The campus, which includes an undergraduate population that is nearly 30% Asian American or Pacific Islander, still does not offer an Asian American Studies major. Student activists have repeatedly petitioned that the administration do something to address campus climate with regard to Asian American students. The hostile on-campus environment for Asian American students was demonstrated in 2013 when a fraternity, Kappa Sigma, held an anti-Asian themed party which included a really racist publicity email and party-goers dressed in geisha-gear, coolie hats, and other forms of costumed yellowface. 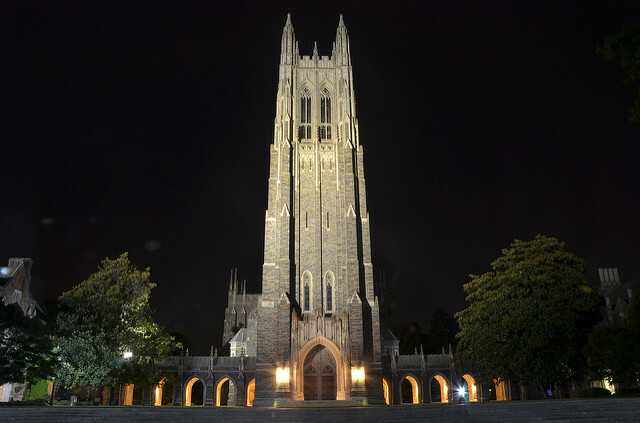 Since 2013 (and indeed, since much earlier), Asian American students at Duke have pointed out that an Asian American Studies program and major would go a long way towards addressing a campus climate that would allow a frat to organize a racist, anti-Asian costume party in the first place. This past weekend, I made a whirlwind trip to Portland, Oregon to speak at my first-ever Association for Asian American Studies (AAAS) conference, the nation’s largest academic conference of Asian American Studies scholars. I was honoured to be included as part of a round-table discussion on Asian American feminism, sexism, sexual violence, and toxic masculinity; and, I was deeply moved by the fact that such a difficult subject attracted a full room of young scholars, academics and activists at 9:45am on a Saturday morning. I was even more excited to learn that the AAAS community is seeking to revive a focus on AAPI feminism at upcoming conferences. I’ve already made many arguments about why we need AAPI Studies. 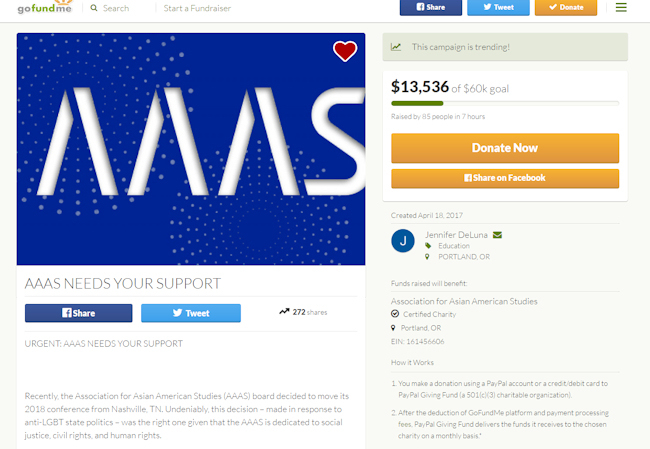 The engaging, thoughtful, and supportive environment at AAAS is only the latest reason that I believe our community desperately needs to do more to support our Asian American Studies academics and scholars. This past weekend, I attended my first AAAS conference; I certainly hope it will not be my last. For one thing, I am particularly impressed by the announcement this week that the AAAS board has decided to take a stance in support of the LGBTQ community, and to withdraw their 2018 conference from Tennessee where the state legislature has attempted to pass a spate of anti-LGBTQ legislation in the past year. 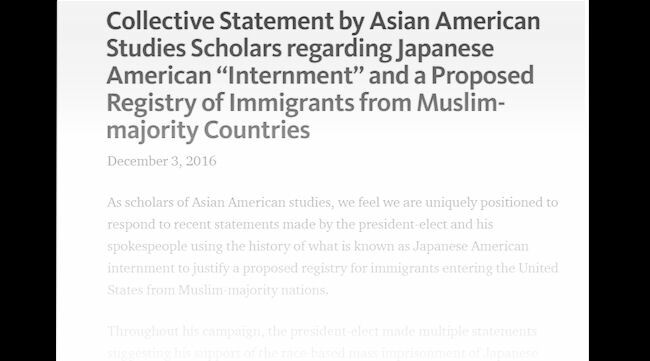 Over 900 Asian American Studies scholars from across the United States issued a joint statement today decrying President-Elect Donald Trump’s proposal to create a national registry of Muslims and Muslim Americans. Trump has repeatedly said that as president he would institute aggressive measures to limit immigration of Muslims into the country and to place Muslims currently within the United States’ borders under close scrutiny. He has promised to halt the entry of Syrian refugees and to also ban immigration from a number of countries — including Pakistan and the Philippines — with large Muslim populations. He is quoted as suggesting the creation of a national database of Muslim and Muslim Americans — a proposal that is likely unconstitutional — and he staffed his White House transition team with Kansas Secretary of State Kris Kobach, the architect of the highly controversial NSEERS registry system which was used to monitor the movement of Muslim immigrants under George W. Bush and the first half of the Obama administration. 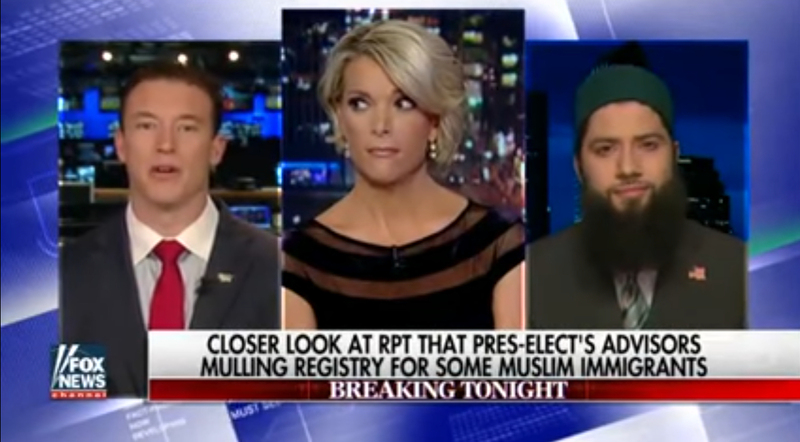 Earlier this month, Trump surrogate Carl Higbie went on Fox News to defend Trump’s alarming proposals to register Muslims and Muslims Americans. In an appearance on The Kelly File, Higbie suggested that Trump’s proposal for a national Muslim registry has legal precedent: Japanese American incarceration during World War II (for a note on language, see JACL’s Power of Words handbook). 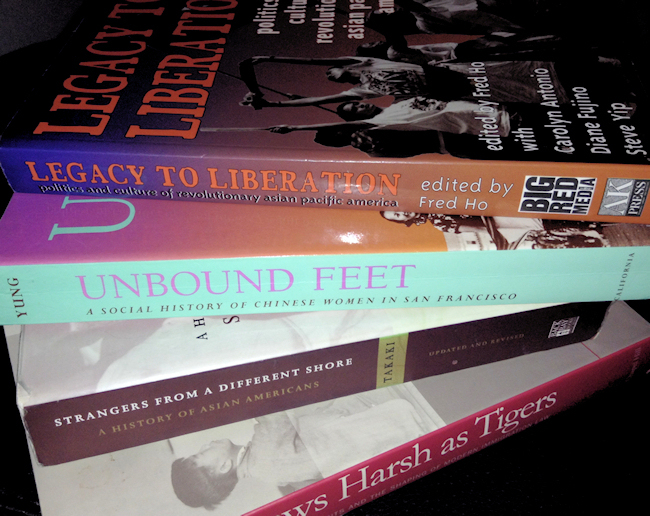 It should come as no surprise that Asian American Studies scholars have something to say about that dubious line of reasoning.